Filled with sylvan streams winding through vast swathes of contiguous wilderness and crowned by the cloud-swaddled peaks of the southern Appalachians, Jackson County, North Carolina, is awash with natural wonders. Beyond the stunning backdrop, the mountain-nestled county is also peppered with inviting towns loaded with bountiful farmers markets, inventive craft breweries, farm-to-fork eateries, and boutiques showcasing locally produced artisanal crafts. Adventures are abundant in Jackson County, but here’s a shortlist of recommendations for an idyllic weekend escape. Get a caffeine-injected start to your Jackson County adventure with locally roasted coffee and a portable bite from the Sylva Convenient Market and General Store in downtown Sylva. Stretch your legs walking the town’s main drag, lined with cafes, handicraft-loaded boutiques, and punctuated with rarities like the eclectic In Your Ear Music Emporium, an independent record store. The Dixie Mae Vintage Market is loaded with two-floors worth of singular antiques, and you’ll enjoy tasty treats from the cozy Baxley’s Chocolates. 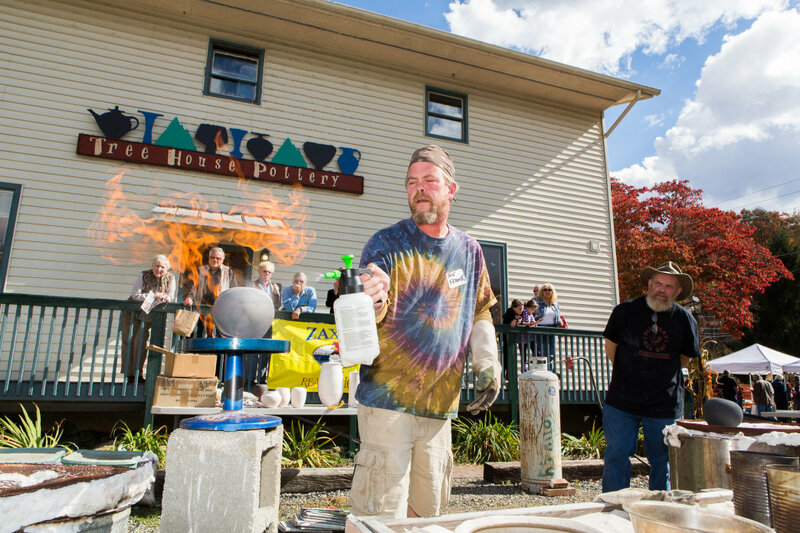 If Sylva has only whet your appetite for artsy wares, head two-miles down the road to Dillsboro, a hub for local artisans and host of the annual Western North Carolina Pottery Festival. Dillsboro’s condensed downtown is loaded with functioning studios—like Treehouse Pottery, Rabbit Creek Pottery, and Riverwood Pottery—each showcasing and selling everything from stoneware to ceramics inlaid with horse hair. 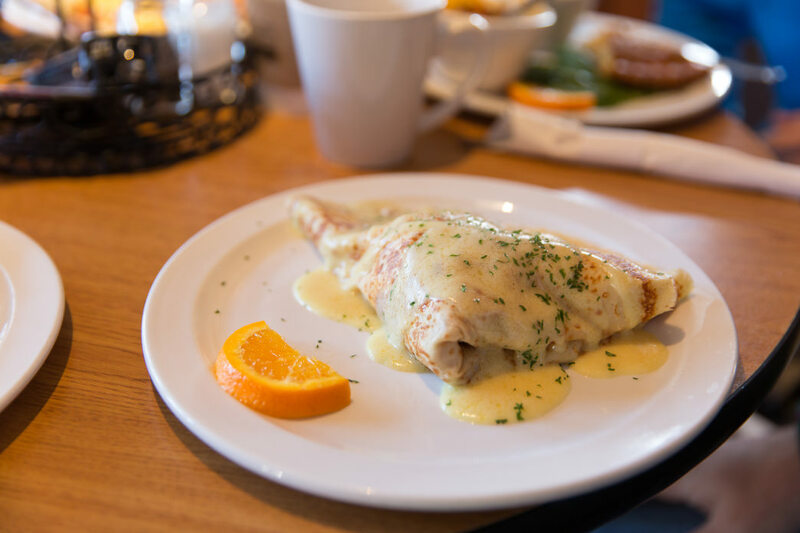 If you end up lingering until lunchtime, grab a bite in Sylva at Lulu’s on Main, serving sophisticated cuisine in down-to-earth digs. 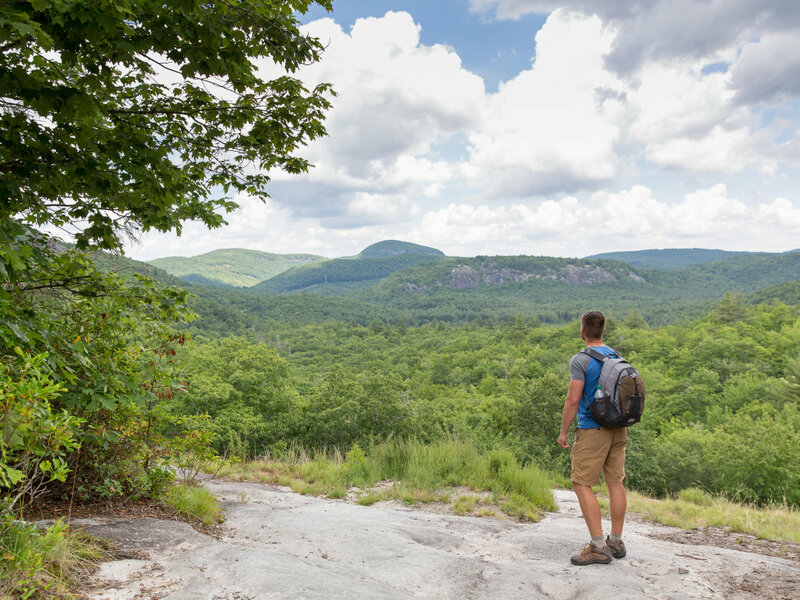 When you are ready to trade town for trail, head 45-minutes south to Cashiers. 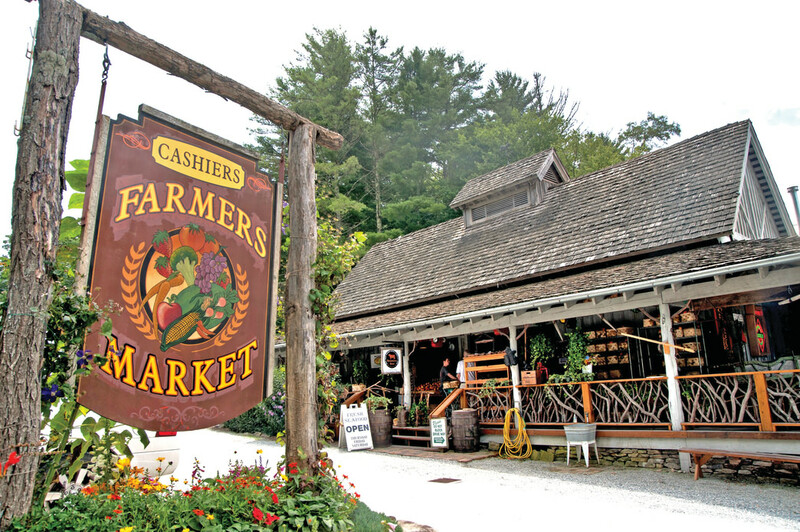 Get a taste for the lake-studded town at the Cashiers Farmers Market and pick up a picnic for the trail. Next, head just outside town to Panthertown Valley, a rugged, mountain-cradled slice of the Nantahala National Forest adorned with tannin-tinged streams and tumbling waterfalls. 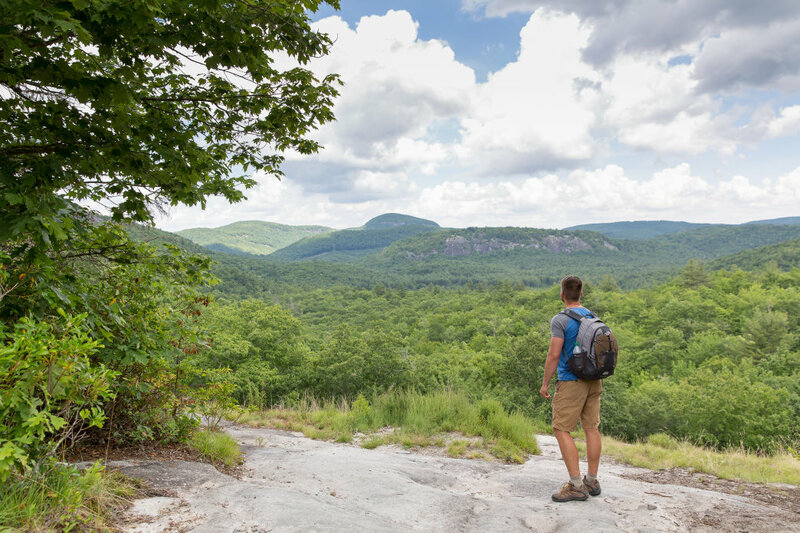 Hikers are enveloped by wilderness merely steps from the trailhead in Panthertown Valley, lending even brief day-hikes the feel of multi-day backcountry outings. Although the namesake panthers no longer prowl the fern-draped valley, Cooper’s hawks cruise the canopy, and bobcats, black bears, and coyotes wander the rhododendron-fringed trails. Decipher the extensive network of backcountry trails with the definitive map, Bruce Kornegay’s "A Guide’s Guide to Panthertown," available at the Blackrock Outdoor Company in Sylva, or with information from the Friends of Panthertown Valley. 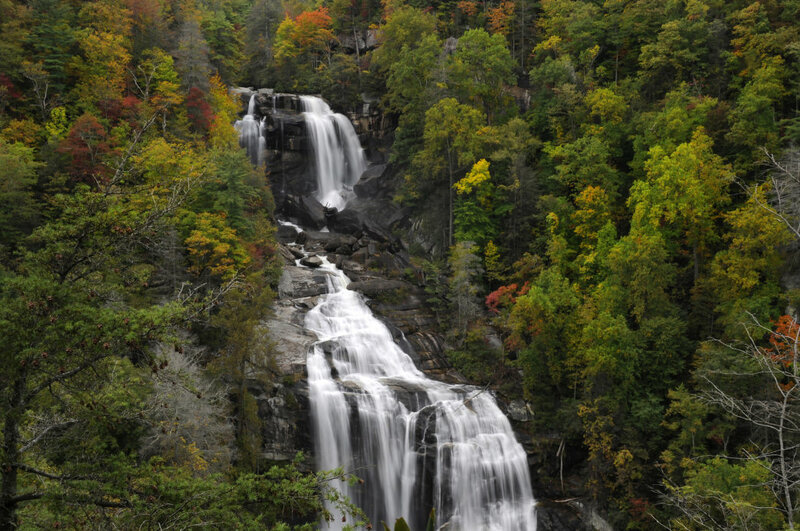 If hiking a sometimes maze-like wilderness seems a little too ambitious, head for Whitewater Falls, which is also just outside Cashiers in the Nantahala National Forest. You will hear the thundering rush of water before even embarking on the brief trail to the viewing platform for the 811-foot falls. Stairs lead to a lower viewpoint, offering unobstructed vistas of the silvery flumes and providing access to the Foothills Trail, an option for tacking more trail time on to your waterfall visit. 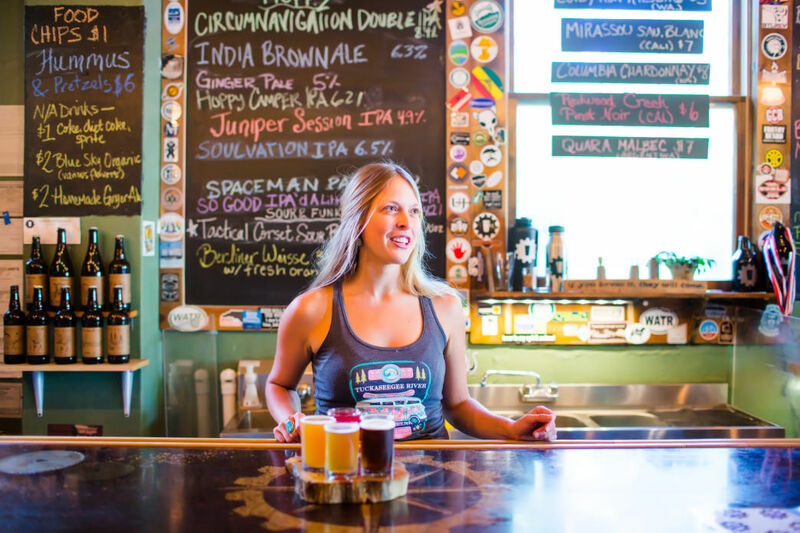 In the evening, head back to Sylva to sample the artful ales available at the town’s trio of craft breweries. Choose from the Bavarian-inspired beers at the Heinzelmännchen Brewery, serving brews like the Ancient Days Honey Blonde or the subtle toffee-flavored Middle World Brown. Try the Sneak E Squirrel, the newest arrival to Sylva’s brewing scene, pouring flavorful pints like Cherry Vanilla Stout and Prison Shank, a quintessential English ale. The brewery also features a menu with everything from pork belly BLTs to bison burgers to the Toasted Fat Elvis, a culinary tribute to the King packed with peanut butter, bananas, and bacon. Peruse the lengthy tap list at Innovation Brewing, which is loaded with mainstays like the Spaceman Pale Ale and the Hoppy Camper IPA. You’ll also find seasonals like Apple Butter Brown, the Cucumber Mint Saison, or the Beet and Basil Pale Ale. After grabbing a beer, head outside to Innovation Brewing’s resident food truck, Cosmic Carryout. Ease into Sunday at Sylva’s City Light’s Cafe. The vegetarian-friendly eatery serves everything from chevre-filled crepes to gluten-free pastries. Post breakfast, the cafe also has nearly a dozen local beers on tap and serves an array of organic, North Carolina wines. Best of all, you can bring your pooch to dine, and the joint celebrates four-legged patrons at monthly Yappy Hours. After breakfast, peruse the attached City Lights Bookstore, lorded over by a pair of resident cats. 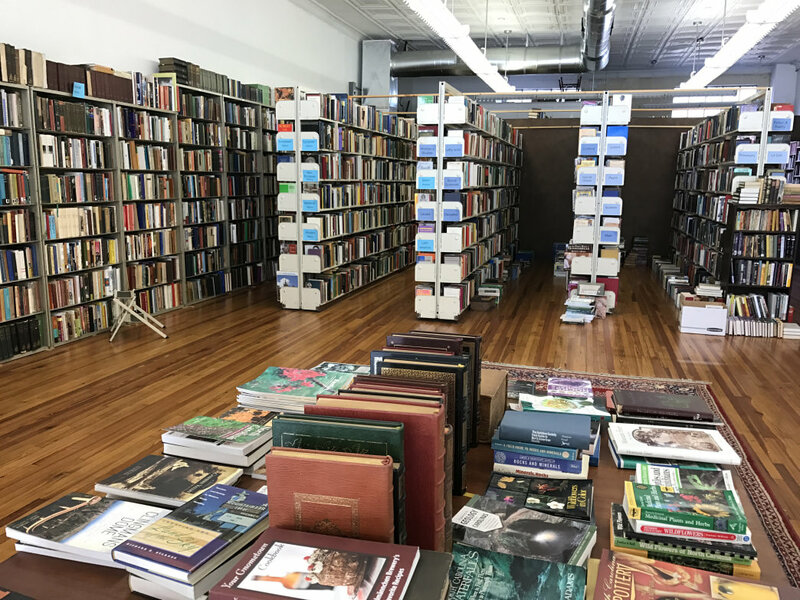 Astoundingly, City Lights is merely one of three independent bookstores in town—Sylva’s Main Street also boasts the Friends of the Library Used Bookstore and Harry Alter Books, specializing in rarities and out-of-print texts. Once adequately caffeinated, head for the iconic Blue Ridge Parkway. A lofty, peak-laden stretch of the 469-mile roadway ribbons through Jackson County, serving as a portal to an abundance of high-country trails. 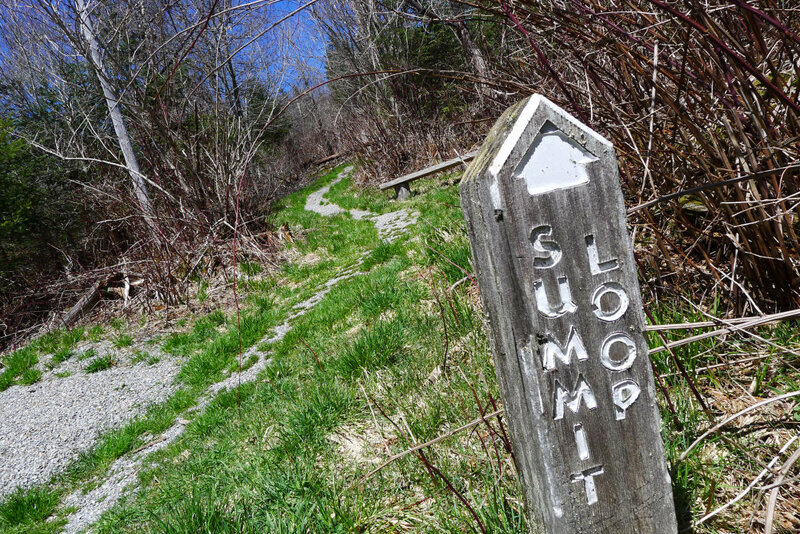 Begin with the more grueling hike by heading south on the parkway to the Waterrock Knob Visitor Center, which is just after milepost 450. The hike from the windswept visitor center to Waterrock Knob’s 6,292-foot pinnacle is short—about a mile and a half round trip—but consists of a craggy climb along a series of tightly coiled switchbacks. Fortunately, climbers are consistently treated to stunning views of Maggie Valley and the Great Smoky Mountains National Park, appearing like a sea of rippling, blue-tinged cordilleras silhouetted against the horizon. Next, drive north to Richland Balsam (milepost 431), just after the marker for the highest point on the motorway, at 6,053-feet. 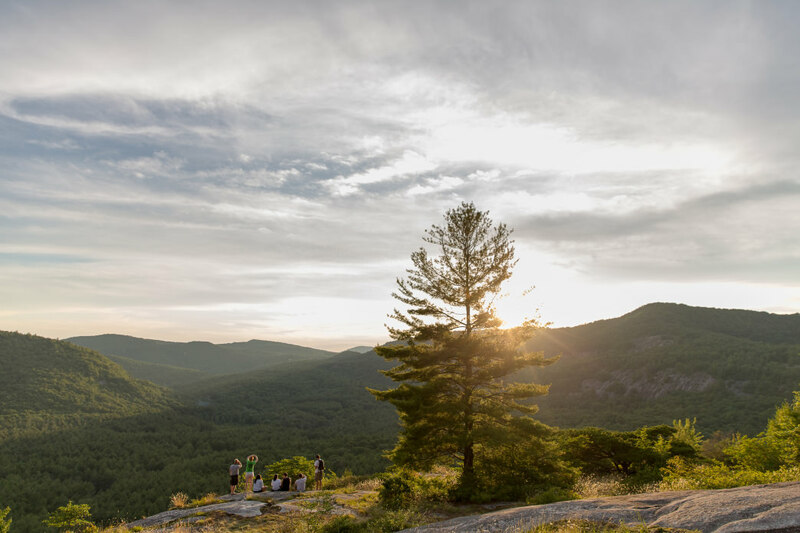 Hike the 1.5-mile loop trail to Richland Balsam’s 6,410-foot summit through a cloud-shrouded, spruce-fir forest more reminiscent of landscapes of northern New England. Check the trail for animal tracks—the thoroughfare is by far the easiest path through the dense, moss-cloaked evergreen forest, and more than just hikers take advantage of the summit route. Tired of hiking but still craving more time outdoors? 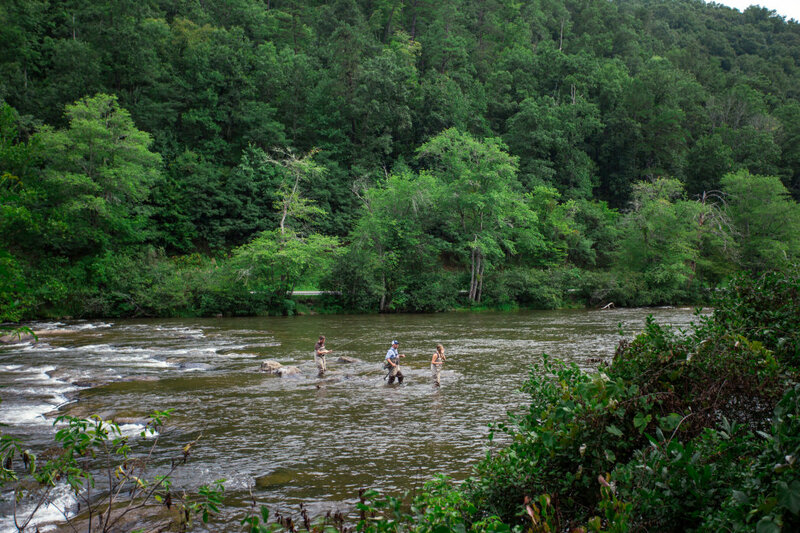 Jackson County is dubbed North Carolina’s Trout Capital, and it’s ideal for perhaps the most meditative of outdoor pursuits—fly fishing. The county is sprinkled with stops along the Western North Carolina Fly Fishing Trail, the first and only of its kind in the country. The largest rainbow trout caught in North Carolina to date, weighing in at just over 20 pounds, was hauled out of Jackson County’s Horsepasture River. In the evening, head back to downtown Sylva for dinner at the Caribbean-inspired Guadalupe Café. The eatery serves organic, locally sourced food, and dishes up more than just island- inspired plates, including bison burgers, mango pork tacos, and, of course, trout cakes. As for where to stay in Jackson County, you’ve got plenty of choices: Full-service resorts, cozy cabins, historic inns, and charming bed & breakfasts are all available in the area.